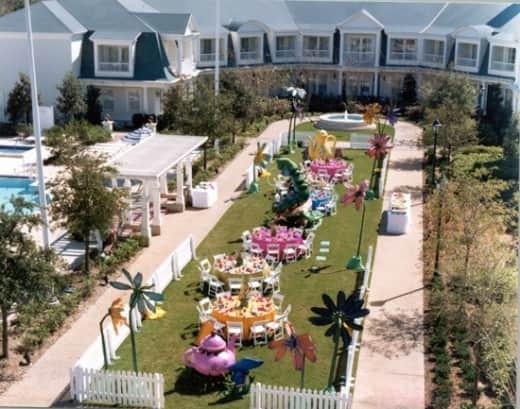 If you're like me, you couldn't wait to see the remake of Alice in Wonderland in a whole new light, and in 3D! Here's a really fun concept, based on the whimsy of the original Disney classic. 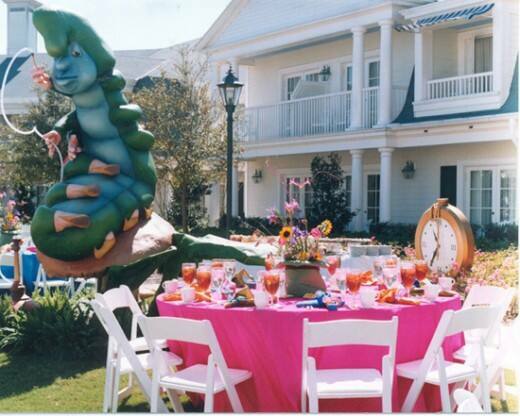 Incorporate some colorful Alice in Wonderland inspiration to your reception, rehearsal dinner, even bridal shower with this fun and whimsical theme! 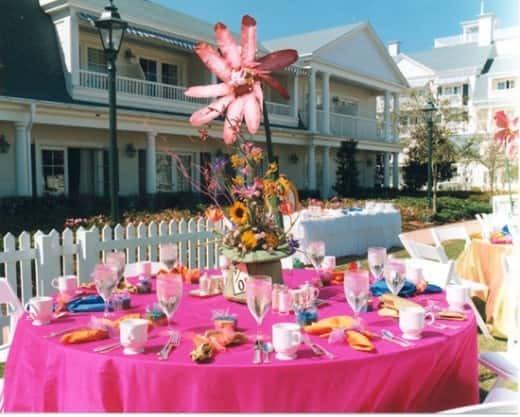 Choose from a host of bright and cheerful colors to create a memorable event for you and your guests. You never know, the White Rabbit may just hop through on his way to your very important date!